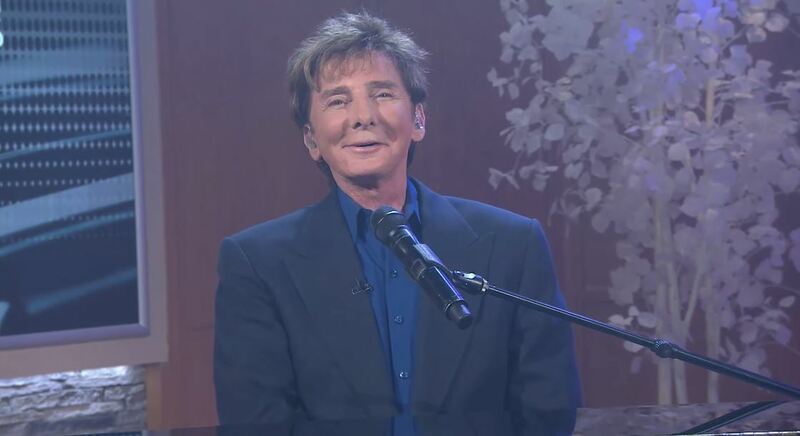 Last Friday I saw Barry Manilow perform live at QVC. Check out my video and photos below recounting the event, as well as the QVC video of the entire TV special. Enjoy! 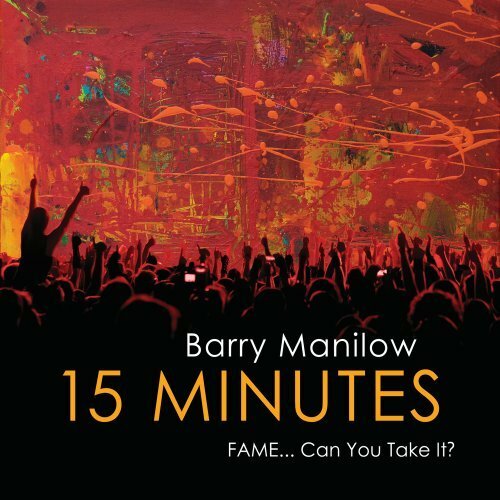 Barry Manilow’s 15 Minutes came out in 2011, and, at the time, it was his first album of original material in 10 years. It’s an excellent collection of music filled with dynamic vocals and infectious melodies. If you’re a Barry Manilow fan that enjoyed Here At The Mayflower, you’ll love it. It’s a concept album that follows the story of young man’s rise to fame and fall from grace. 15 Minutes kicks off with a 1-2-3 punch; the title track is a guitar-laden, country inspired, mid-tempo rocker that sets the tone for the album. The second track, “Work the Room,” is a funky song where Barry expertly raps the lyrics. If you’ve ever had to look for a job and go to a networking event, you’ll appreciate this song. “Bring On Tomorrow” rounds out the first three tracks, and it’s a classic Barry power ballad. Filled with beautiful lyrics, a gorgeous arrangement and soaring vocals, this track is one of the best on the album. Needless to say, I love it! The fourth track, “Now It’s For Real,” is another guitar heavy track that finds the album’s main character realizing that he’s achieved the success he was after. Barry sounds like he had a lot of fun recording this song and it comes through in his impassioned vocal. “Wine Song” gives the listener an inside view into how the young star’s life has changed. Now he’s surrounded by people who constantly tell him they love him and that he’s beautiful. This, along with the drinking and drugs, foreshadows what’s to come. The next song is an interesting one because it’s a reworked track from Barry’s Trying To Get The Feeling album from the 1970s. This time around it’s called “He’s A Star,” and it’s a fun upbeat pop/rock song that fits this album perfectly. The following two songs deal with relationships. “Written in Stone” focuses on the deteriorating romantic relationship that seemed so strong in “Bring on Tomorrow.” It shows that the young star has done a poor job in handling his new-found fame; and, in doing so, he has destroyed a relationship he held so dear. “Letter from a Fan/So Heavy, So High” starts off with a haunting vocal by Nataly Dawn as an obsessive fan, and she does an excellent job. This juxtaposed with Barry’s vocal about becoming tired of dealing with these kinds of fans, effectively shows two different points of view. “Slept through the End of The World” is a beautiful acoustic song that conjures up visions of a star that’s at the end of his rope. It’s where he comes to terms with the fact that he is no longer the star he once was because he didn’t handle fame the way he should have. “Reflection” is a beautiful piano interlude that leads into “Trainwreck.” During this song, the performer realizes what went wrong and is ready to start over. He recognizes that what happened in the past is behind him, and he must move forward. This recognition culminates in the reprise of “15 Minutes” where he is determined to do things right this time around. The album closes with the disco-infused “Everything’s Gonna Be All Right.” It’s a fun track that is reminiscent of “They Dance!” from “Here At The Mayflower.” It’s an infectious pop song that is bound to get stuck in your head. Overall, 15 Minutes is a solid album. The majority of the songs are excellent, and the narrative is engaging. Barry’s voice is in good form, and the arrangements are top notch. If you’re a fan of Barry Manilow, or just good music, I highly recommend this album. You won’t be disappointed. Below are live performances of a few of my favorite tracks from the album. Enjoy!